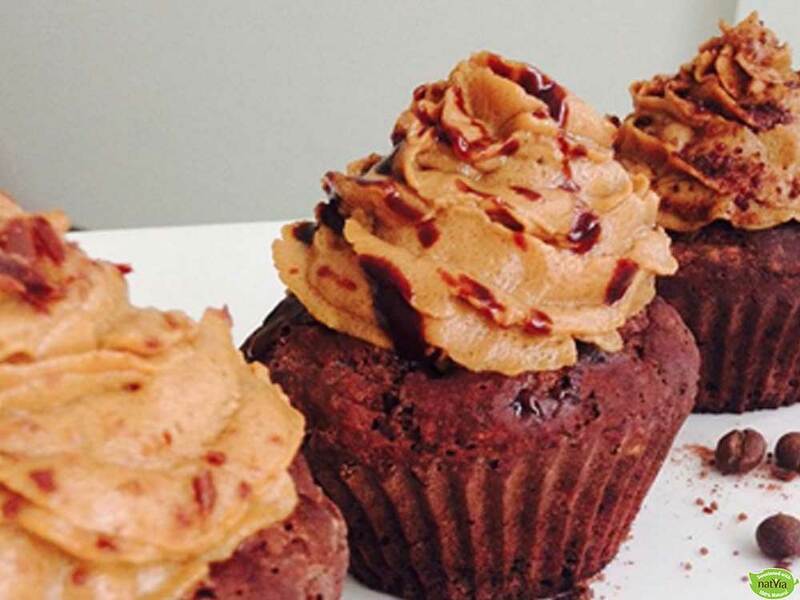 This Nanaimo recipe is a healthy, vegan alternative made completely without sugar. 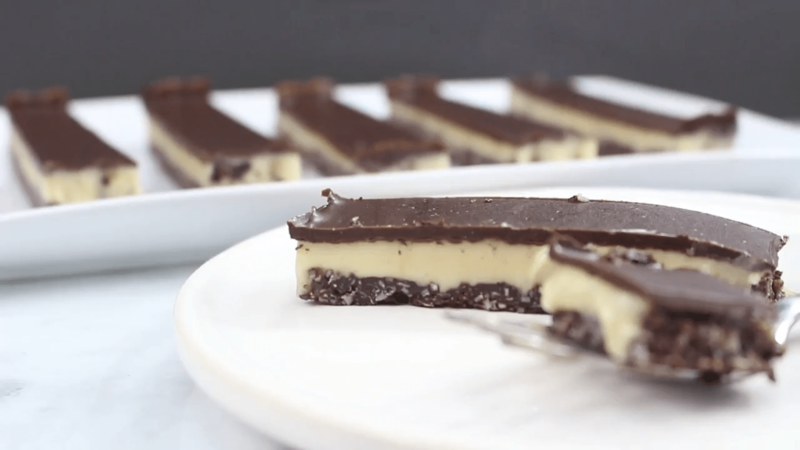 As far as easy trifle recipes go, this Vegan Nanaimo Bars recipe is simple, delicious and easy to follow! Add all the dry ingredients apart of the bottom layer to a new mixing bowl and evenly stir. Once mixed, add 1/4 cup coconut oil and stir the mixture around. It should now be a damp chocolate looking material. Spread this bottom layer into a long and flat baking tray or similar square shaped box that can fit in the fridge! Place the bottom layer in the fridge to chill whilst making the middle layer. 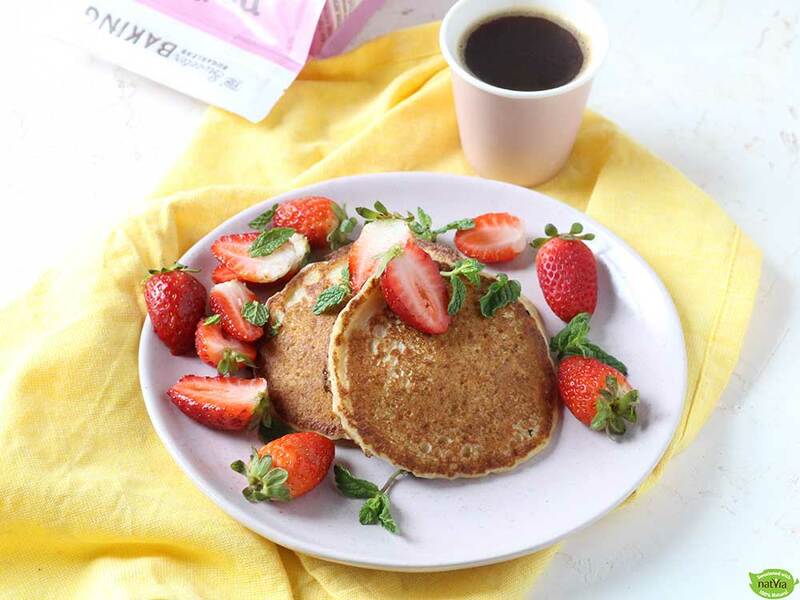 For the middle layer, start by adding 2 tbsp of protein powder (vegan) to a blender. Also add 2 tbsp Natvia to the mixture in the blender. Add 1 & 1/2 cup of macadamias and 3 tbsp coconut oil to the blender and blend the mixture until it has formed a runny liquid. Pour the liquid layer on top of the chilled bottom layer and set it again in the refrigerator (freezer) for at least 30 mins. For the top layer, melt 85g of sugar free dark chocolate along with 1 tbsp coconut oil in a double boiler. Once the chocolate as melted, pour and evenly spread on top of the previous two layers and place it back in the freezer for at least another 30 mins. Cut it into slices and enjoy a delicious vegan treat!